You know this thing about Bus Games? Cute-games.com has new games for you in our new category named Bus games, where you will have to drive many busses in different locations and for different purposes. Here you will see many types of busses because we have many games with different challenges and you will have to choose the one you want to play. In Bus Games you can find 48 games that we've published for these kids and childrens that are interested to play Bus Games, this game gategory have been created on 14.01.2016. These games with Bus Games have been voted 1 times and the avarage of vote is 5.00 stars. 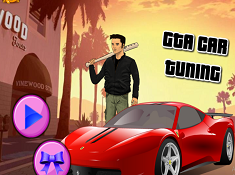 We advice you to play the last flash game from Bus Games, GTA Car Tuning that have been published on 24.09.2018 12:00. 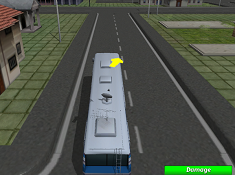 Bus Man Parking 3D its a part of Bus Games category and until now its played 1095 times. Try it now on Cute-Games.com! If your like the Bus Man Parking 3D game you can write a comment in the game page. Recommend this game to your friends if you like it! 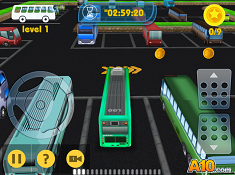 Bus Parking 3D World its a part of Bus Games category and until now its played 906 times. Try it now on Cute-Games.com! 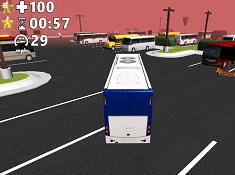 If your like the Bus Parking 3D World game you can write a comment in the game page. Recommend this game to your friends if you like it! Bus Driver Weekdays 2 its a part of Bus Games category and until now its played 688 times. Try it now on Cute-Games.com! If your like the Bus Driver Weekdays 2 game you can write a comment in the game page. Recommend this game to your friends if you like it! Bus Transit its a part of Bus Games category and until now its played 785 times. Try it now on Cute-Games.com! If your like the Bus Transit game you can write a comment in the game page. Recommend this game to your friends if you like it! 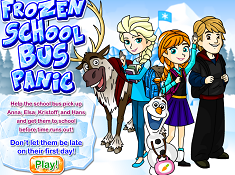 Frozen School Bus Panic its a part of Frozen Games category and until now its played 1019 times. Try it now on Cute-Games.com! If your like the Frozen School Bus Panic game you can write a comment in the game page. Recommend this game to your friends if you like it! Lax Shuttle Bus its a part of Bus Games category and until now its played 997 times. Try it now on Cute-Games.com! 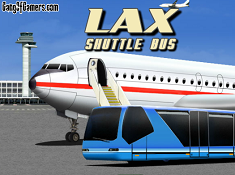 If your like the Lax Shuttle Bus game you can write a comment in the game page. Recommend this game to your friends if you like it! 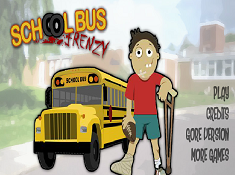 School Bus Frenzy its a part of Ability Games category and until now its played 796 times. Try it now on Cute-Games.com! If your like the School Bus Frenzy game you can write a comment in the game page. Recommend this game to your friends if you like it! 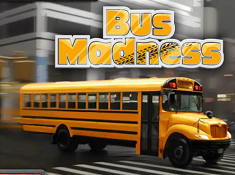 Bus Madness its a part of Bus Games category and until now its played 882 times. Try it now on Cute-Games.com! If your like the Bus Madness game you can write a comment in the game page. Recommend this game to your friends if you like it! 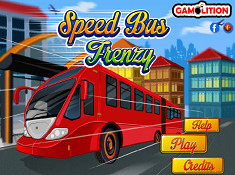 Speed Bus Frenzy its a part of Bus Games category and until now its played 709 times. Try it now on Cute-Games.com! If your like the Speed Bus Frenzy game you can write a comment in the game page. Recommend this game to your friends if you like it! 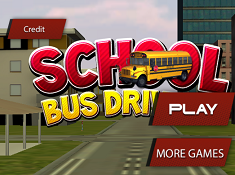 School Bus License its a part of Bus Games category and until now its played 862 times. Try it now on Cute-Games.com! If your like the School Bus License game you can write a comment in the game page. Recommend this game to your friends if you like it! 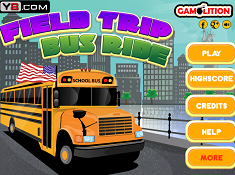 Field Trip Bus Ride its a part of Bus Games category and until now its played 861 times. Try it now on Cute-Games.com! 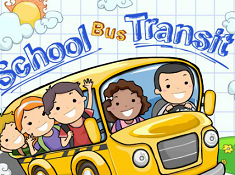 If your like the Field Trip Bus Ride game you can write a comment in the game page. Recommend this game to your friends if you like it! American Bus 2 its a part of Bus Games category and until now its played 820 times. Try it now on Cute-Games.com! 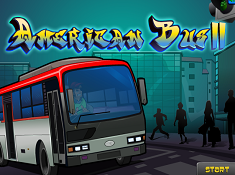 If your like the American Bus 2 game you can write a comment in the game page. Recommend this game to your friends if you like it! London Bus its a part of Bus Games category and until now its played 710 times. Try it now on Cute-Games.com! If your like the London Bus game you can write a comment in the game page. Recommend this game to your friends if you like it! 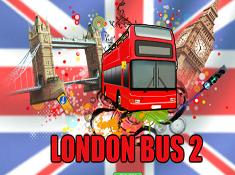 London Bus 2 its a part of Bus Games category and until now its played 685 times. Try it now on Cute-Games.com! 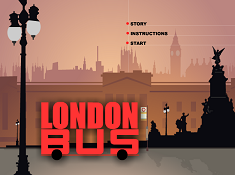 If your like the London Bus 2 game you can write a comment in the game page. Recommend this game to your friends if you like it! 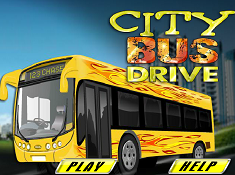 City Bus Drive its a part of Bus Games category and until now its played 709 times. Try it now on Cute-Games.com! If your like the City Bus Drive game you can write a comment in the game page. Recommend this game to your friends if you like it! 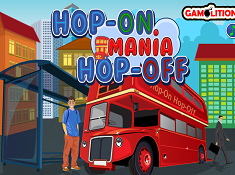 Hop On Hop Off Mania its a part of Bus Games category and until now its played 698 times. Try it now on Cute-Games.com! If your like the Hop On Hop Off Mania game you can write a comment in the game page. Recommend this game to your friends if you like it! Big Bus League its a part of Bus Games category and until now its played 616 times. Try it now on Cute-Games.com! 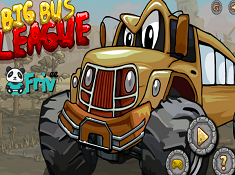 If your like the Big Bus League game you can write a comment in the game page. Recommend this game to your friends if you like it! 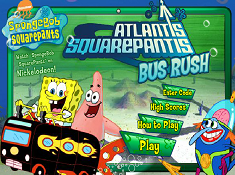 Atlantis Squarepants Bus Rush its a part of Spongebob Games category and until now its played 813 times. Try it now on Cute-Games.com! 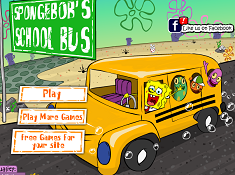 If your like the Atlantis Squarepants Bus Rush game you can write a comment in the game page. Recommend this game to your friends if you like it! Euro Soccer Bus Parking its a part of Bus Games category and until now its played 767 times. Try it now on Cute-Games.com! If your like the Euro Soccer Bus Parking game you can write a comment in the game page. Recommend this game to your friends if you like it! 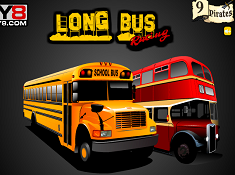 Long Bus Racing its a part of Bus Games category and until now its played 803 times. Try it now on Cute-Games.com! If your like the Long Bus Racing game you can write a comment in the game page. Recommend this game to your friends if you like it! School Bus Racing its a part of Bus Games category and until now its played 862 times. Try it now on Cute-Games.com! 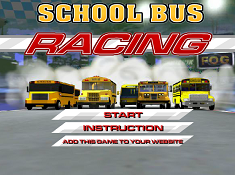 If your like the School Bus Racing game you can write a comment in the game page. Recommend this game to your friends if you like it! 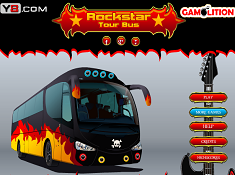 Rockstar Tour Bus its a part of Bus Games category and until now its played 841 times. Try it now on Cute-Games.com! If your like the Rockstar Tour Bus game you can write a comment in the game page. Recommend this game to your friends if you like it! 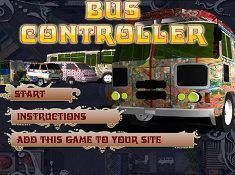 Bus Controller its a part of Bus Games category and until now its played 761 times. Try it now on Cute-Games.com! If your like the Bus Controller game you can write a comment in the game page. Recommend this game to your friends if you like it! 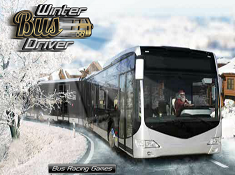 Winter Bus Driver its a part of Bus Games category and until now its played 955 times. Try it now on Cute-Games.com! If your like the Winter Bus Driver game you can write a comment in the game page. Recommend this game to your friends if you like it! 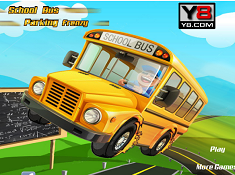 School Bus Parking 3D its a part of Bus Games category and until now its played 1306 times. Try it now on Cute-Games.com! 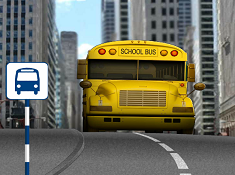 If your like the School Bus Parking 3D game you can write a comment in the game page. Recommend this game to your friends if you like it! 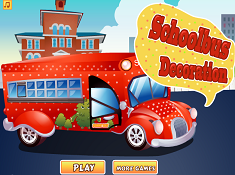 School Bus Decoration its a part of Bus Games category and until now its played 843 times. Try it now on Cute-Games.com! If your like the School Bus Decoration game you can write a comment in the game page. Recommend this game to your friends if you like it! 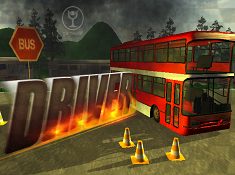 School Bus Driver 3D its a part of Bus Games category and until now its played 1068 times. Try it now on Cute-Games.com! If your like the School Bus Driver 3D game you can write a comment in the game page. Recommend this game to your friends if you like it! School Bus Wash its a part of Bus Games category and until now its played 891 times. Try it now on Cute-Games.com! If your like the School Bus Wash game you can write a comment in the game page. Recommend this game to your friends if you like it! 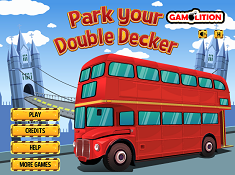 Park Your Double Decker its a part of Bus Games category and until now its played 900 times. Try it now on Cute-Games.com! If your like the Park Your Double Decker game you can write a comment in the game page. Recommend this game to your friends if you like it! 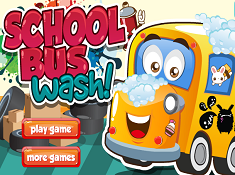 School Bus Car Wash its a part of Bus Games category and until now its played 878 times. Try it now on Cute-Games.com! If your like the School Bus Car Wash game you can write a comment in the game page. Recommend this game to your friends if you like it! 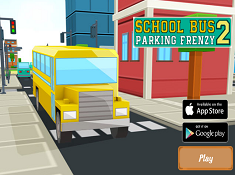 School Bus Parking Frenzy its a part of Bus Games category and until now its played 783 times. Try it now on Cute-Games.com! If your like the School Bus Parking Frenzy game you can write a comment in the game page. Recommend this game to your friends if you like it! 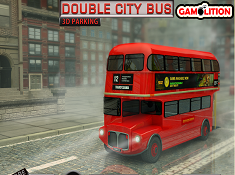 Double City Bus 3D Parking its a part of Bus Games category and until now its played 953 times. Try it now on Cute-Games.com! If your like the Double City Bus 3D Parking game you can write a comment in the game page. Recommend this game to your friends if you like it! Bus Driver its a part of Bus Games category and until now its played 880 times. Try it now on Cute-Games.com! If your like the Bus Driver game you can write a comment in the game page. Recommend this game to your friends if you like it! 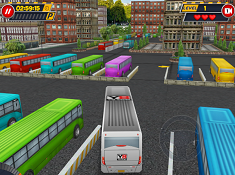 School Bus Mania 3D Parking its a part of Bus Games category and until now its played 936 times. Try it now on Cute-Games.com! 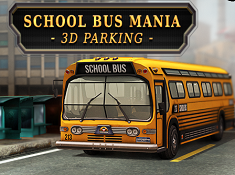 If your like the School Bus Mania 3D Parking game you can write a comment in the game page. Recommend this game to your friends if you like it! 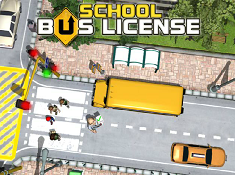 School Bus License 3 its a part of Bus Games category and until now its played 833 times. Try it now on Cute-Games.com! If your like the School Bus License 3 game you can write a comment in the game page. Recommend this game to your friends if you like it! Funny School Bus its a part of Bus Games category and until now its played 914 times. Try it now on Cute-Games.com! If your like the Funny School Bus game you can write a comment in the game page. Recommend this game to your friends if you like it! 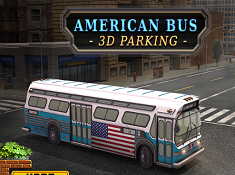 American Bus 3D Parking its a part of Bus Games category and until now its played 850 times. Try it now on Cute-Games.com! If your like the American Bus 3D Parking game you can write a comment in the game page. Recommend this game to your friends if you like it! Bus Man 2 its a part of Bus Games category and until now its played 1159 times. Try it now on Cute-Games.com! If your like the Bus Man 2 game you can write a comment in the game page. Recommend this game to your friends if you like it! 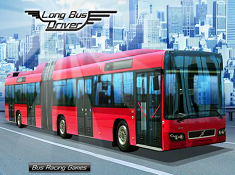 Long Bus Driver its a part of Bus Games category and until now its played 851 times. Try it now on Cute-Games.com! If your like the Long Bus Driver game you can write a comment in the game page. Recommend this game to your friends if you like it! Monster Bus its a part of Bus Games category and until now its played 704 times. Try it now on Cute-Games.com! If your like the Monster Bus game you can write a comment in the game page. Recommend this game to your friends if you like it! Mini Bus Service its a part of Bus Games category and until now its played 896 times. Try it now on Cute-Games.com! 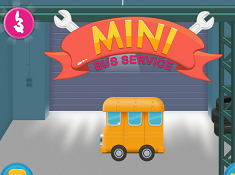 If your like the Mini Bus Service game you can write a comment in the game page. Recommend this game to your friends if you like it! 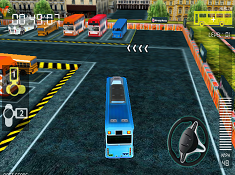 Bus Parking 3D its a part of Bus Games category and until now its played 1062 times. Try it now on Cute-Games.com! If your like the Bus Parking 3D game you can write a comment in the game page. Recommend this game to your friends if you like it! Winter Bus parking School its a part of Bus Games category and until now its played 763 times. Try it now on Cute-Games.com! My School Bus Cleaning its a part of Bus Games category and until now its played 996 times. Try it now on Cute-Games.com! 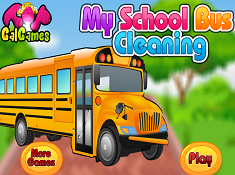 If your like the My School Bus Cleaning game you can write a comment in the game page. Recommend this game to your friends if you like it! Megabus Megaride its a part of Bus Games category and until now its played 809 times. Try it now on Cute-Games.com! If your like the Megabus Megaride game you can write a comment in the game page. Recommend this game to your friends if you like it! School Bus Parking Frenzy 2 its a part of Bus Games category and until now its played 755 times. Try it now on Cute-Games.com! If your like the School Bus Parking Frenzy 2 game you can write a comment in the game page. Recommend this game to your friends if you like it! Find More About Bus Games! In these games you will have to drive a passenger car which can be a school bus or a bus which offer a tour in a city or, a bus which goes on excursions and travels with people so, you will have to take care how you drive because you have to arrived to the destination in safety. Also, you will have to park a bus in different places fact that will be a challenge for you or you will have to go in bus racings where you will conquer with other bus drivers and of course that you will have to do your best to win the competition. In other games you will have to wash your bus, to decorate it using any colors and designs you want and you will also go in a lot of adventures like driving on the mountains, running away from villains with your bus and many other things that we hope that you will enjoy. Beside all of these things you will meet here many characters from Disney, Cartoon Network and Nickelodeon which you will have to coordonate to drive a bus or you will have to transport them on their concerts or performances. Doesn`t matter if you are a boy or a girl because we have games for everyone with chllaneges for everyone and all you have to do is to choose the game that matches to you. For that we have bus games for girls where you will meet characters like Barbie, Ariel, Snow White, Violetta and many other female characters which will prove that a girl also can drive a bus and make interesting things with it. Bus games for boys are a little more harder because there you will have to go through many challenges and also, you will have bus driver games where you will have to drive the bus like nobody else. Because we know that kids also love our games we have bus games for kids where they will have to drive busses, to color them in our bus coloring games and make many other fun things. You can also try our bus 3D games in which you will feel the adrenaline because you will have the feelling that you are driving that bus in the real life so, as you can see you will have a lot of fun here. Cute-games.com hopes that you will like our free bus games and we hope that you will play many of them because each is different and brings different challenges and adventures.